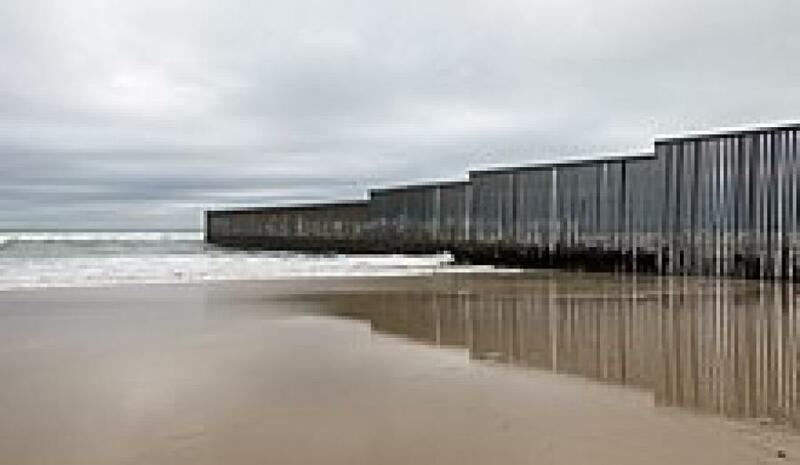 U.S. Customs and Border Protection (CBP), in partnership with the U.S. Army Corps of Engineers (USACE), has awarded a contract to construct approximately 6 mi. of levee wall system in the U.S. Border Patrol's (USBP) Rio Grande Valley (RGV) Sector, which was funded in CBP's Fiscal Year (FY) 2018 appropriation. The contract for this project, referred to by CBP as RGV-03, awarded on Oct. 31, 2018 to SLSCO in the amount of $145 million for construction. Construction is scheduled to begin in February 2019. The RGV-03 project includes the construction and installation of tactical infrastructure including a reinforced concrete levee wall to the height of the existing levee, 18 ft. tall steel bollards installed on top of the concrete wall, and vegetation removal along a 150-ft. enforcement zone throughout the approximately 6 mi. of levee wall system. The enforcement zone also will include detection technology, lighting, video surveillance and an all-weather patrol road parallel to the levee wall. This project lies within the McAllen Station area of responsibility in Hidalgo County, Texas. The RGV Sector remains an area of high illegal cross border activity. In FY 2017, USBP apprehended more than 137,000 illegal aliens, and seized approximately 260,000 lbs. of marijuana and approximately 1,192 lbs. of cocaine in the RGV Sector. Once constructed, this levee wall system will serve as a persistent impediment to transnational criminal organizations, while still allowing river access for property owners, other federal/state/local officials, local emergency responders and USBP. CBP continues to implement President Trump's Executive Order 13767 — also known as Border Security and Immigration Enforcement Improvements — and continues to take steps to expeditiously plan, design and construct a physical wall using appropriate materials and technology to most effectively achieve complete operational control of the southern border.